At Ducktoes we can help you use technology and computers to make your life or business work better for you. One way we can help is to keep you connected to what you care about and love even when you’re away. I’m excited to tell to you about a wonderful new service we’re offering: Dropcam. It’s a great way to be connected to your business, home, children, elderly parents, pets, or any place or person you care about and would like to keep an eye on when you can’t be there in person. It is a wifi video monitoring system that works great and is easy to use. 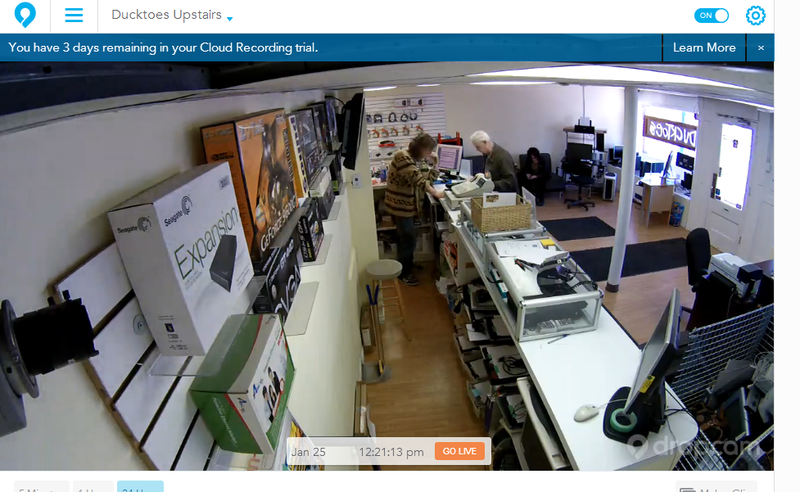 With Dropcam, I can see what is going on at my business when I’m out of town or away from the shop. You can log in to your Dropcam camera on the web and see what is happening live. You can watch the recorded videos to see what happened a few hours before or even a couple of weeks ago. If you’re at work or out with your spouse, you can check to see if kids are okay with the babysitter or keep an eye on older kids or teenagers alone at home. You can rest easy knowing everyone and everything is safe. If you’re on vacation you can see if there’s an intruder or other problem happening in your absence. Be there when you can’t. This is an image of my shop from the Dropcam camera. I can see if my shop is busy or not, if the tech came to work, if the techs have too much work and need help, or if there is another issue or problem. Mostly, however, I use Dropcam for security. Dropcam records what is going on so if there is some sort of security incident, I can look at it later. It also sends alerts to my phone or email or both. It detects motion and sends a message to my phone during off hours, so I can go online and check out what is happening. 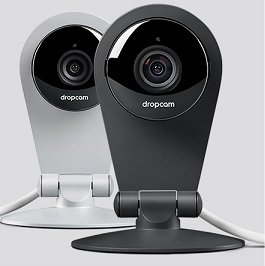 Ducktoes in now offering Dropcam as a product and service to our clients. If this sounds good to you, Ducktoes can help you buy and set up Dropcam. We use it ourselves so we know it works. Ducktoes has all kinds of other ideas and services to help you use your computers and technology to make your life better and easier.